Crossing the finish line, a photo by The Bacher Family on Flickr. 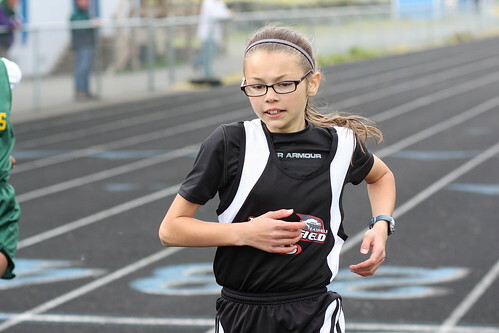 A runner from Eatonville Middle School crosses the finish line at a home track meet. I love the shallow depth of field and stopped motion with all of the signs of motion around the edges: the flying hair, the slight blur on the hands. It's hard to get such a perfectly focused capture!